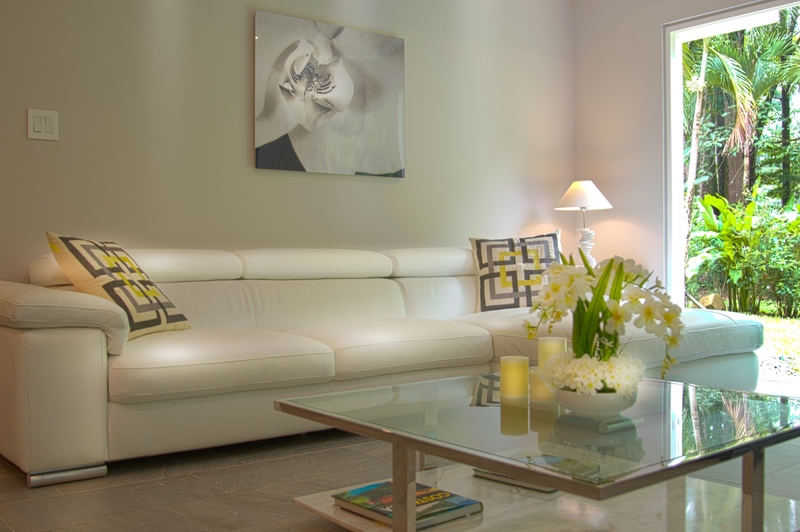 Elan offers services to help residents acclimatize to this beautiful region, including property management, concierge services and turnkey packages. Elan also has underground electrical, high-speed telecommunications and abundant water systems, plus we have cared to the environment by installing solar power for the common areas, and lights that comply with grey sky international policies. What makes Elan at Ballena Beach unique? Elan at Ballena Beach can be described as a contemporary window on a beautiful world. 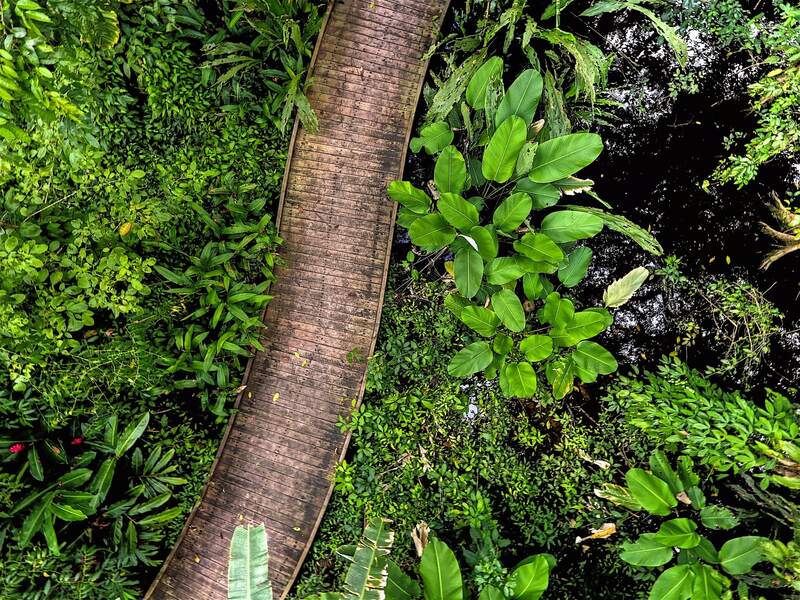 Venturing along a beaten path lush jungle surroundings, the sights and sounds of rainforest life engulf you in a symphony of color and music. 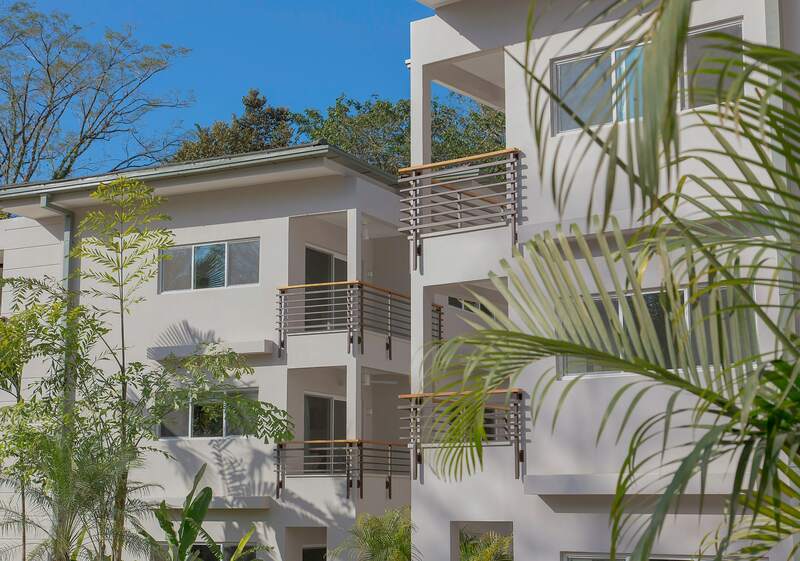 A luxurious condominium development nestled along a narrow stretch of southwestern Costa Rican coastline known as Costa Ballena. When you leave your luxurious condo a small aperture of light in the distance guides you forward as you make your way through Mother Nature’s embrace. As you reach the source of light, your surroundings suddenly expand to limitless bounds, with seemingly endless horizons over the Pacific Ocean. To either side of you, golden sands stretch for miles as you stand in a moment of blissful solitude and take a deep breath. 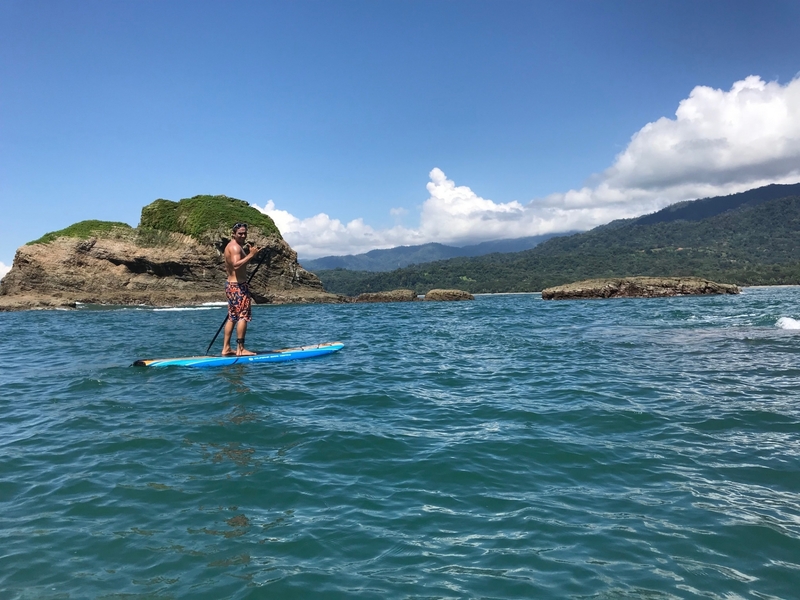 Moments like that, define life at the only Costa Rica Beachfront Luxury Condos; Élan at Ballena Beach, a luxurious condominium development nestled along a narrow stretch of southwestern Costa Rican coastline known as Costa Ballena. 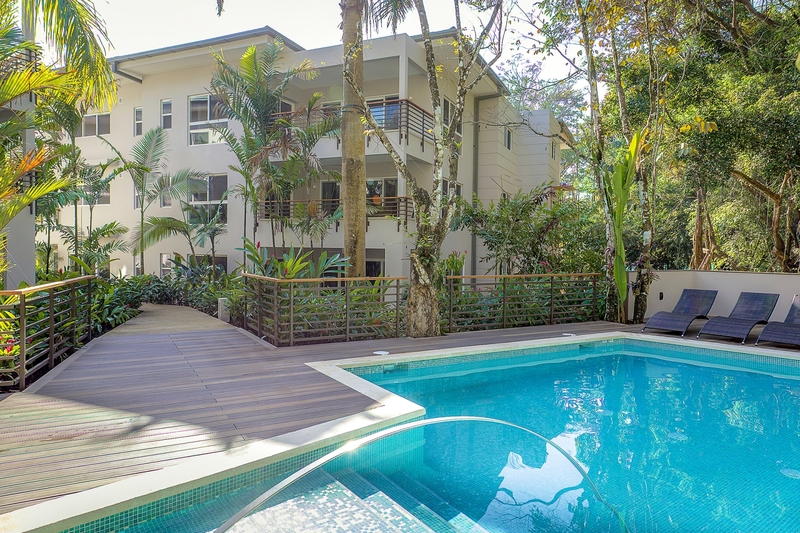 Axiom Development Group has invested a great deal of time, vision and experience in facilitating such moments of tranquility and adventure, launched from the comforts of harmonious and contemporary living spaces in the heart of the tropical rainforest. Wedged between the mountains and the Pacific coastline, the beachside condos deliver a panoramic blend of inward and outward beauty. The project is the golden fruit of the Development Company’s vision to design seamlessly-integrated lifestyles within the region’s natural landscape. 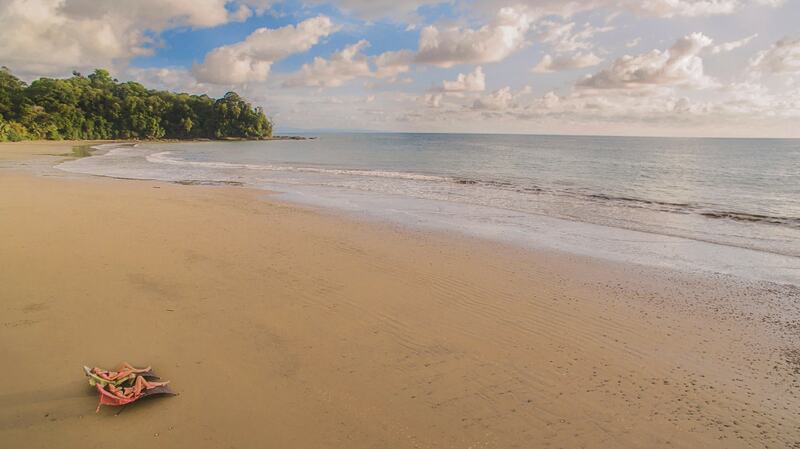 There aren’t many homes where one of the best beaches in Costa Rica is at your doorstep, a national park in your next-door neighbor, and an incredible development with private pools and modern day conveniences surround you. It takes only one visit to the property, to show how the company has gone above and beyond the building process to take initiatives aimed at protecting and enhancing the natural environment that engulfs Élan. Bordered to the east by coastal mountains, Élan’s elaborate series of filtration points mitigate natural water run-off, protecting the marine environment that borders the property to the west. Élan also breathes new life into its surroundings courtesy of a nursery comprised of 22,000 indigenous plants and nearly 1,000 trees. The thoughtfully-integrated model unit provides glimpses of a lifestyle that offers the best of both worlds. The luxurious comforts of contemporary furnishings and expansive windows bring the vibrancy of your surroundings to life. As the sun sets in the late afternoon, in a tree so close that you can almost touch it, a troupe of monkeys descends on a canvas painted earlier in the day by the colorful presence of toucans ushering in the morning. The development’s integration into the fabric of this beautiful landscape is a tribute to the great lengths that Axiom has gone to make it possible. 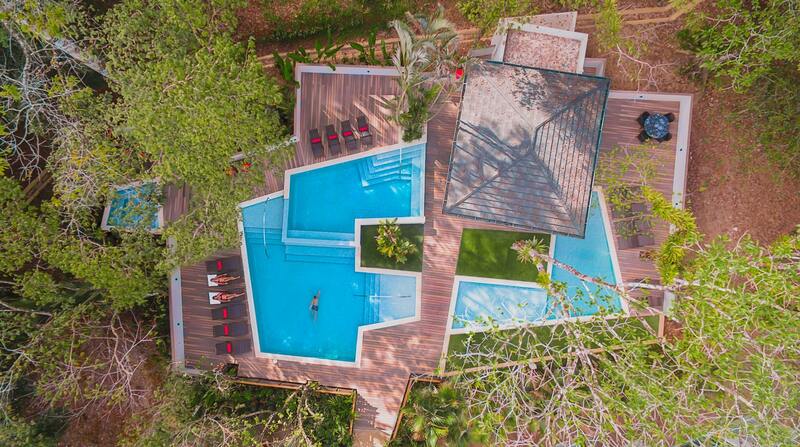 And while the best of Élan is still to come, the dreams of those who already call it home, are already filled with Robinson Crusoe adventures, just steps away from their 21st Century living spaces. The best of both worlds, combined, indeed! Windows and doors: Pella InsulShield® Low-E insulating double-pane glass comes standard. Great for climates with with extreme weather conditions. Blocks 84% of the sun’s fading ultraviolet rays with Advanced Low-E. Full frame profile with edge detailing. A more stylish design than ordinary vinyl windows. The interior sash corner welds on Pella 250 Series products are less visible than on typical vinyl, for a more attractive look. Outstanding weather resistance. Weather-repel design channels water away from the home. Pella windows are stronger than ordinary vinyl. Multi-chambered vinyl frames and reinforced sashes are 52% stronger, which reduce worries about warping, sagging or bowing vinyl. Precision welding process helps ensure windows will resist warping or twisting over time. Double-pane glass helps reduce outside noise and creates a thermal break. AutoLock hardware automatically locks windows when shut. Simply close your window and confirm it is latched. TLK Italian Casework: TLK had questions; they found the answers. They allowed inspiration to come from the best minds of design, from those who have been able to bring so much out of so little, following the concept of “Less Is More”. They decided that we had to bring down the costs, without giving up on beauty and quality. 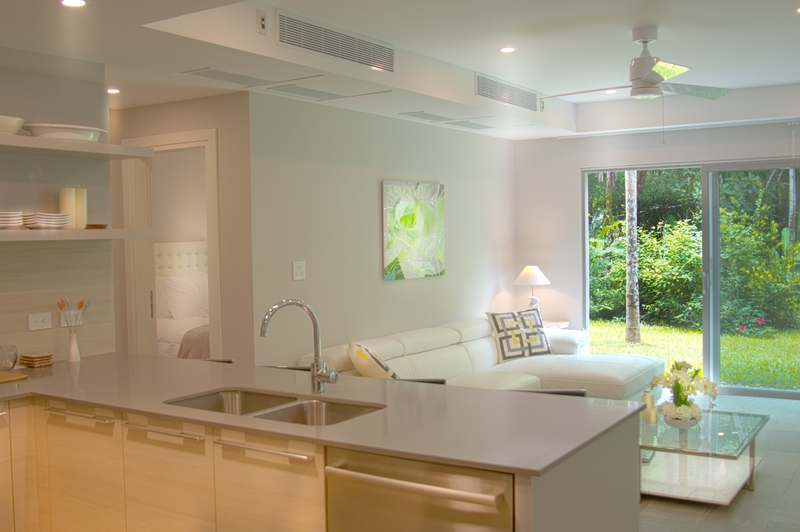 As a result, our kitchens are perfect from every point of view. The design is throughout down to the smallest detail and inspired by the Made in Italy style. It’s made of poetry and emotion, of quality and sturdiness of the materials chosen to last in time, because for us cooking is a serious business. These are the reasons why our are the perfect union of today’s market’s demands and the love for all that is beautiful: a philosophy that made Italy famous throughout the world few? Gret Porcelain Floor Tile – Edimax produces made in Italy colored body glazed gres porcelain tiles for wall and floor, high quality and an innovative design. The production process is totally eco-compatible and includes recycling of water and raw materials, a photovoltaic system and a thermal entity with controlled CO² emission. Our collection, Quartz Design, fascinates with its graphic, captures with its shades, and makes every space precious with authentic natural charm. The tile boasts BTR conic reversed edges and rectified edges to reduce grout lines. Natural antislip surfaces are through to make sure your safe when you come back wet from beach or pool. Grohe Plumbing: For many decades GROHE has launched countless new innovative, design-driven and award-winning bathroom and kitchen fittings to the market. The meticulous experts at GROHE are specialists in casting, electroplating, assembling, sanding and finishing our products to the very highest level. They combine genuine craftsmanship and focused mental aptitude to create a product beyond compare. The results are impressive with timeless design, a quality that lasts a lifetime and unique features. Bosch Appliances: Bosch built-in refrigerators are French door design with bottom freezer. Each offers beautiful LED lighting, dual evaporators which keep your food fresh and are ENERGY STAR® qualified. Bosch’s authentic European designed electric ranges that offer perfect cooking results. Our German-engineered dishwashers not only feature up to three racks of flexible loading space, they also incorporate 18 unique sound reducing technologies, making Bosch the quietest dishwasher brand in the USA. Every Bosch dishwasher features sleek, flush, European styling that works in harmony with a variety of kitchen styles. 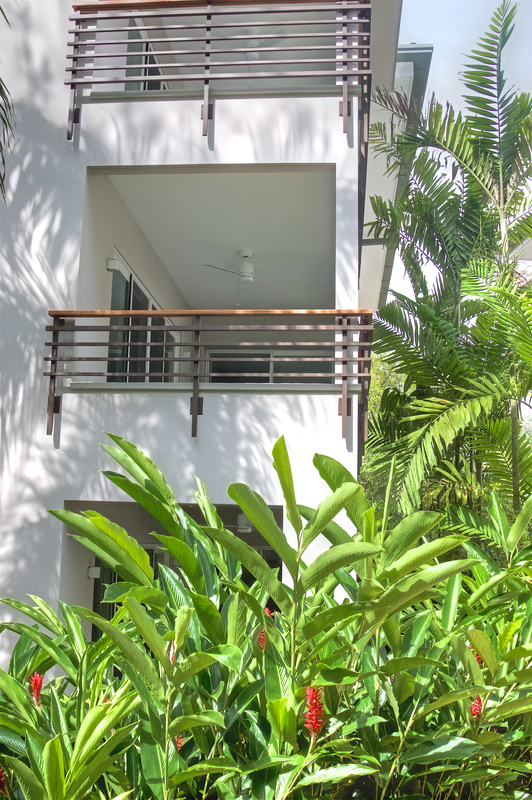 Details: Aluminum Railings with Teak finish to withstand the ocean breezes. 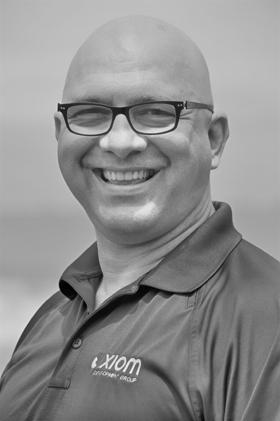 A native of the Province of Manitoba Canada, Kelvin began his sales career in Canada but has almost 20 years experience n the Caribbean and now Central America. He has sold time share-fractional and also whole ownership with real estate being his favorite. He enjoys adventures, extreme sports and traveling. I liked the Axiom products. How do I proceed to purchase? Can foreigners purchase property in Costa Rica? 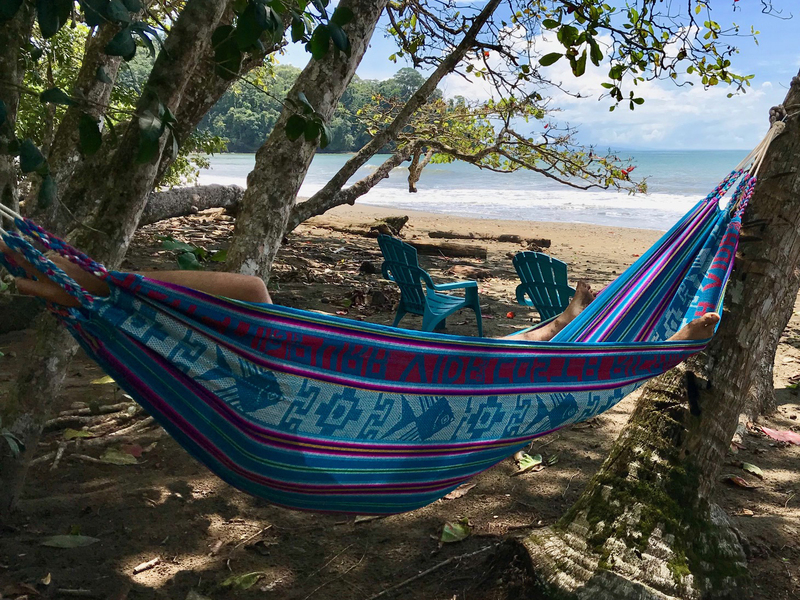 Unlike some other countries, foreigners have the same rights when purchasing a property in Costa Rica as locals do. You can own property outright in your own name or in the name of your corporation. (A corporation set up locally by you or an existing corporation in your country.) You do not need a local partner. How do I know that Axiom will finish the development(s)? All ADG developments have been reviewed and approved by MEIC – Ministry of Economy, Industry and Commerce of Costa Rica. ADG has gone through a long process and a guaranteebond to be able to build and sell during construction or preconstruction. MEIC is an entity that was established to protect the buyers and to make sure the developers finish and deliver what they have promised. We can provide copies of the authorization process, if requested. 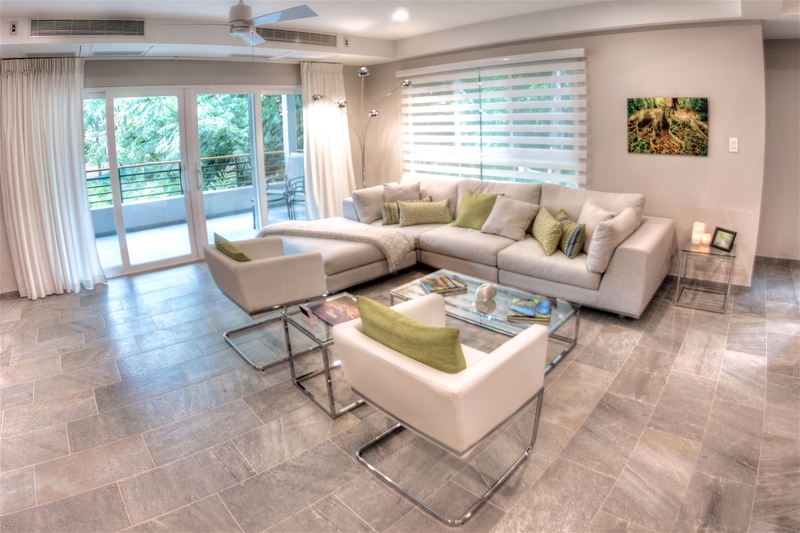 Are the Axiom condos, villas and estates sold furnished or unfurnished? 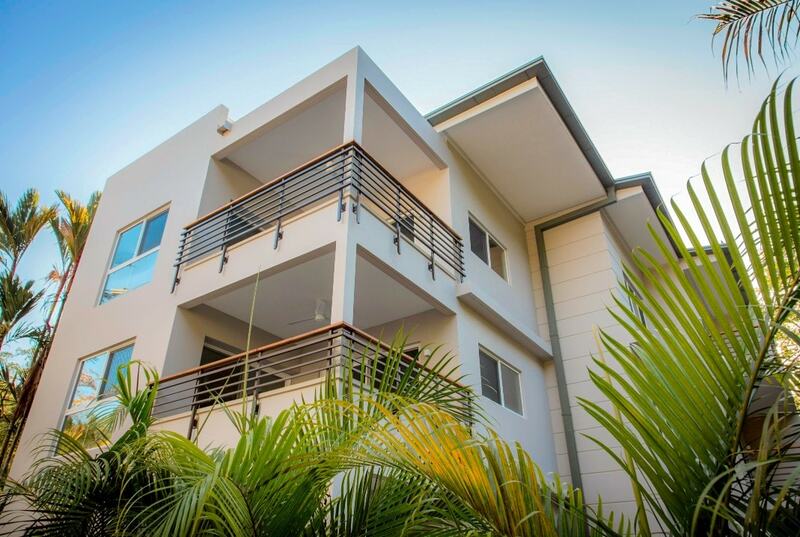 All units are sold unfurnished and as agreed in the corresponding Sales and Purchase Agreement (SPA). We can, however, refer you to some furniture packages with different companies, that have worked well for previous buyers. 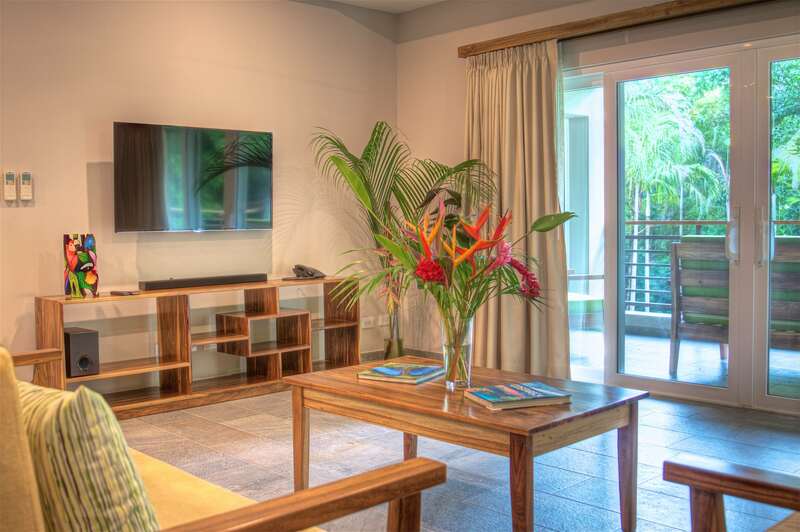 What is the pricing trend in Costa Rica, but especially in the Costa Ballena area? 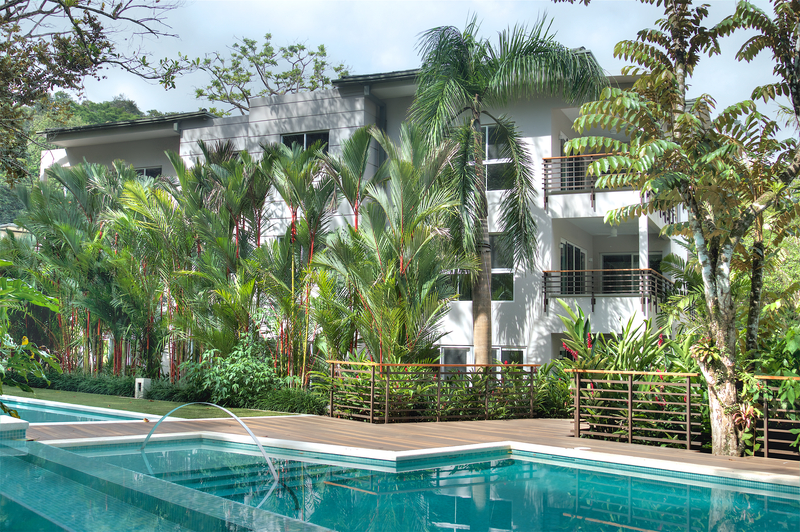 Costa Rica’s higher-end property market continues to grow rapidly as foreign homebuyers flock in. The average listing price of homes has been increasing since 2011 at a rate between 3.6% and 6.2%. Costa Ballena is currently an area in development and the best deals can be found in new developments, like the ones of ADG. At the same time, this popular location is experiencing increase in demand, which in turn will create higher return on investment (ROI). Costa Rica has proven to be attractive to foreign investors for its relatively open investment and trade policies, as well as being the most politically stable country in Latin America. 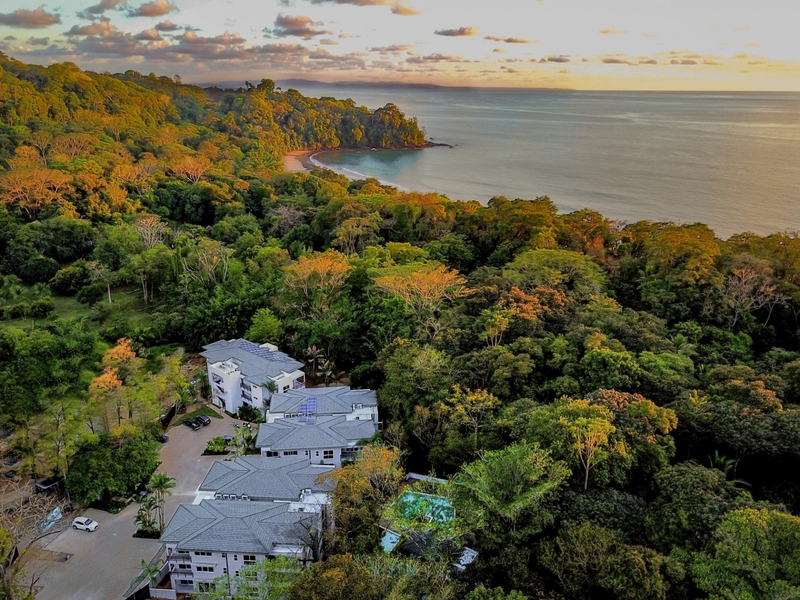 Costa Rica’s property market is expected to remain vibrant and robust, according to local property experts. The market in Costa Rica is simply too strong to wait too long, particularly in the Costa Ballena area, not to mention the properties of ADG. There is nothing like it in the area. What is the payment schedule for a purchase in pre-construction or under construction? Do I need to open an Escrow Account? You may also choose any other escrow company that you wish to work with, however, please make sure to do your research and due diligence when choosing a different option. You may also choose to make your payments directly to ADG, in the end it’s your final decision and at the end of the day, no matter which option you choose, you will have to provide a series of legal documents to proof the origin of funds. Costa Rica is against money laundering, drug money, and/or money earned through any illegal activities and ADG is responsible to ensure that the money received for the purchases of real estate is cleared. What documents do I need, to proof origin of funds? First, we need to know who you are and therefore, we will provide a Knowledge of Client form is to be filled out by the potential buyer. We will also request a copy of your passport (all pages), and a copy of your Driver’s License, if you have one. The rest of the documents depend on the value of your purchase, the information you provided in the Knowledge of Client form, and your preference of payment option. Therefore, the process to be followed from this point onwards, can vary from case to case. Are new homes under any guarantee? Yes. The contractor, under Costa Rican law, provides a 5-year guarantee on the structure of the buildings.The 5-year guarantee, is valid from the official day of delivery to the developer, who in turn, passes the remaining time of guarantee over to the buyer upon closing. Are appliances, kitchen furniture, bathroom furniture and closet furniture under guarantee? Yes, they are under guarantee for a period of 1-year. Are the properties sold by Axiom “deeded”? When you buy a property at ADG, you own the property entirely and you will possess both the deed and title. This also means that in the future, you will be able to transfer your property to others. How does the property get registered in my name? Upon signing the deed transfer, your notary will proceed to register your name on the National Registry. All titled properties are registered in the National Registry and all registered surveys are found in the National Cadaster; part of the National Registry. The National Registry is now almost completely digital. Certifications of a property, as well as powers of attorney of a corporation and copies of the survey can be bought online. What is the payment schedule to purchase a finished unit at Axiom? What other fees do I have to pay at the time of closing? All closing costs are shared equally between ADG and the buyer. 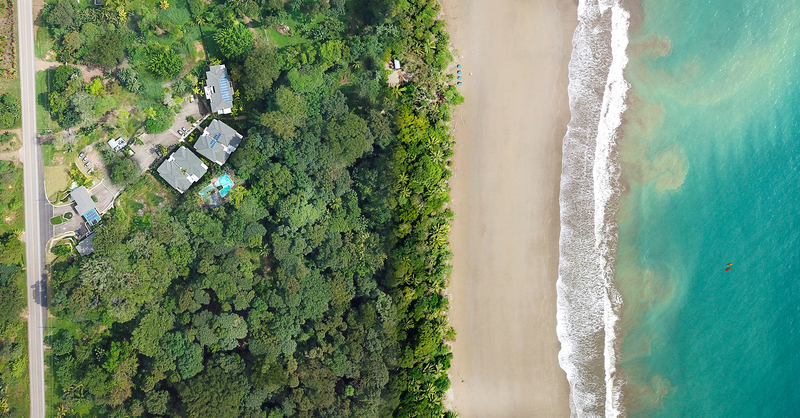 Closing costs in Costa Rica are relatively low; less than USD 2,000 per USD 100,000 of the sale price. Closing costs include: Transfer Tax (1.5% of the registered value) Public Registry Fee (0.05% of the registered value) Tax Stamps, which ad up to around USD 60 per transaction and include the municipality stamp, hospital stamp, agrarian stamp, bar association stamp, fiscal stamp and a national archive stamp. A notary fee of USD 1,250, based on 1.5% of the first million Costa Rican Colones of the sales price and 1.25% of the remainder. How do I reserve the home of my choice? Sign a “Reservation Agreement” and make a one-time “Reservation Deposit” of USD 5,000, fully refundable for the first ten calendar days. The cooling period, as we call it, helps you to think about your decision, and protects both parties from it being a heat-of-the-moment decision; at the same time, it serves as a guarantee that we will hold the unit of your choice. If you haven’t yet; talk it over with your spouse, partner, advisors, lawyer, family and friends and at the end of the ten days, you can continue the process or write us to cancel and request the refund of your “Reservation Deposit”. The “Reservation Deposit” can be paid by credit card (we accept Visa, Master Card, and American Express) or by wire transfer. We do not accept cash payments of any kind. I am ready to proceed; when do I receiveand sign the Sales and Purchase Agreement? Congratulations! You have made a great decision and we are here for you all the way. Three days after you sign the Reservation Agreement you will receive the Sales and Purchase Agreement (SPA) via e-mail. Depending on the fact that you bought a finished unit, a unit on pre-construction or in construction, the document will vary. The SPA for a finished unit is a simple, short form, modeled on a United States-style purchase agreement. This agreement does not formally pass the title of the property from ADG to the buyer, but it sets out the terms and conditions that must be satisfied prior to closing and establishes the obligations of both the Buyer and Seller during the due diligence period of the transaction. The points mentioned above, serve as a guideline. Should you have any doubts, questions and or would like to know more, please do not hesitate to contact one of us any time. We are here to assist you through the process and find ways to accommodate you to the best of our ability. How much will I have to pay in property taxes? How much will I have to pay in property transfer taxes? There is a 3% property transfer tax. This tax is based upon the registered value placed on the property transfer deed at the time of sale. At the time of transfer, the transfer tax is shared equally between Axiom and the buyer. 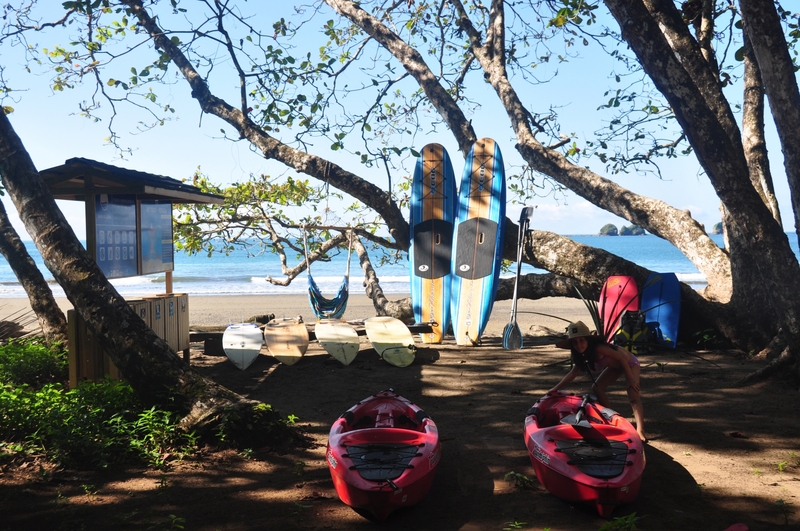 What financing options are available in Costa Rica? When you purchase on a construction-phase or pre-construction phase, there are pre-approved payment schedules, that provide a “self-financing” option, of roughly around eighteen months, depending on the construction progress of your unit, (it can be a couple of months less or more), without interest. For more details on how this works, see: What is the payment schedule for a purchase in pre-construction or under construction?” Depending on the construction progress of your unit, you can “auto-finance” the purchase of your new home!